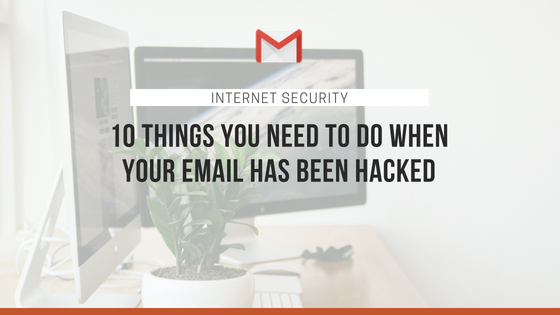 When your email has been hacked, there’s more to do than just changing your password. Let email contacts know: Hackers will potentially try to access your address book with the aim of hooking others. Send a message to all your email contacts as soon as possible so they know to avoid opening any emails (most likely loaded with malware) that have come from you. Change security questions: Try your best to make your new security questions unpredictable and something ONLY you would know. If you have a security question associated with your account, make up a response that makes no sense. This is the perfect opportunity to fib a little since only you know what the answer is. Commit to multi factor authentication: This may add another step to your login but honestly wouldn’t you rather be safe than sorry? When you enable this feature, you will need a special passcode, usually sent to your mobile device to log in. If you’re a G Suite user, two-step authentication is a built-in setting that can be turned on to enable multifactor authentication. Check email settings: It is not uncommon for hackers to modify your email settings so that a copy of every email you receive is automatically forwarded to them. Not only can they monitor your logins for other sites but they’ll keep a watchful eye over any particularly juicy personal information! So, check your mail forwarding settings to ensure no unexpected email addresses have been added. Don’t forget to check your email signature to ensure nothing spammy has been added. And also ensure your ‘reply to’ email address is actually yours. 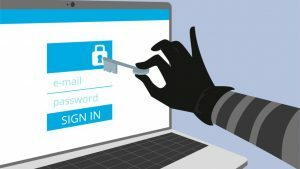 Hackers have been known to create an email address here that looks similar to yours – when someone replies, it goes straight to their account, not yours. Scan computer for malware or viruses: If you find anything, please ensure it is addressed and then change your email password again. And if you don’t have it – please invest. Comprehensive security software will provide you with a digital shield for your online life. A great free scanner that we recommend is Malwarebytes. Change any other accounts with same password: change any other accounts that use the same username and password as your compromised email. Use password manager: The best password is one like this: EovUCH2yVJ9RkA. But they are not easy to remember. If you use a password manager (we recommend using Google’s Password Manager or LastPass), you can create secure passwords for all your needs without having to remember them. The only password you need to recall is a single, very secure password that lets you access your password manager. Check bank statements: Start first with the passwords tied to your email accounts. Email will probably be the first thing a hacker targets. Financial accounts, social media, and other heavily used sites are also commonly hacked. Plus anywhere else you may have re-used passwords. If your computer has been hacked, odds are the hackers will keep trying to communicate with your machine. Your best defense against them getting back in is to make sure you have an up-to-date firewall installed and turned on. You’ll find many experts that recommend running both a software firewall and a hardware firewall together. Which types and how to configure them depend on your operating system, router hardware and other things you may already be running, so it’s worth doing some research specific to your setup.